We’re just a few hours away from the launch of Google’s Pixel smartphones and the leaks continue to pour in. After pretty much revealing all there is to know about the devices on UK retailer Carphone Warehouse, we now have a little more from Verizon. The listing on Verizon’s site unofficially confirms a Blue model along with Black and White options that was previously leaked by Canadian carriers Bell and Telus. The listing, spotted by Gizmodo, also shows some highlights about the devices, which includes what Verizon is calling ‘Google Magic’, which could just be the site’s own marketing ploy, but could also refer to a new, unknown feature. 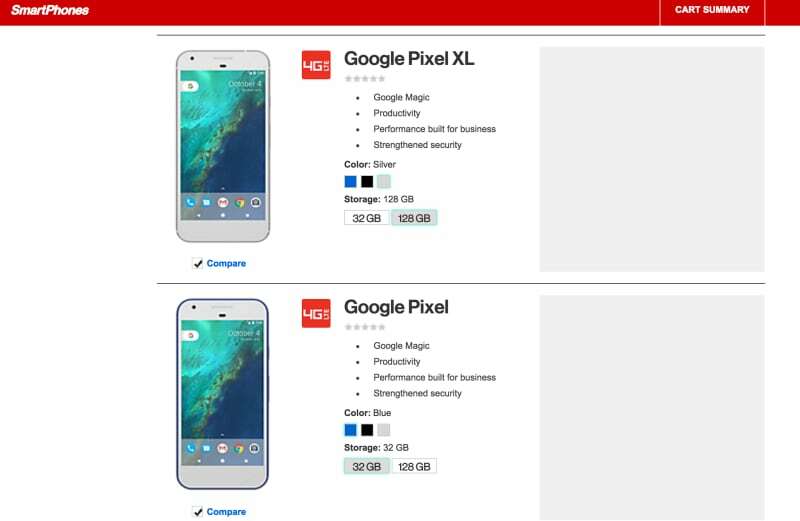 The site further reveals that the Google Pixel and Pixel XL will be offered in 32GB and 128GB storage options. Lastly and unsurprisingly, the devices come with 4G LTE support. 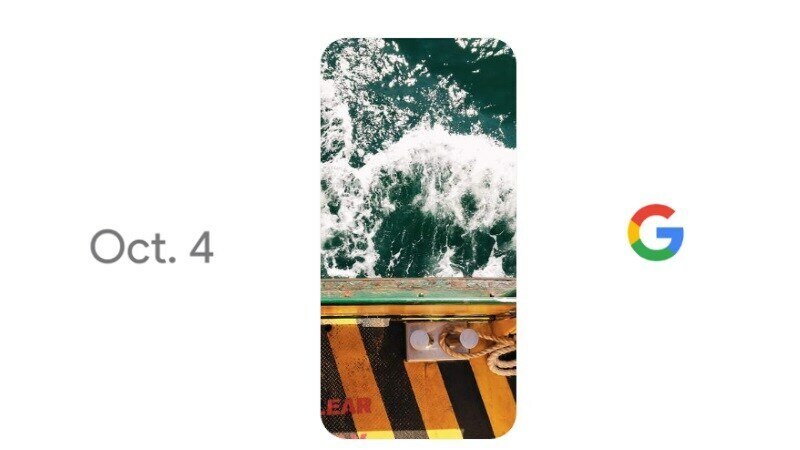 A separate reveal by TheTrademarkNinja shows an EU trademark application filed by the company with an official logo that reads “G Pixel Phone by Google”, which confirms that the devices are in fact going to be ‘Pixel’ smartphones. Based on the Carphone Warehouse leak, the Google Pixel is said to feature a 5-inch full-HD (1080 x 1920 pixels) Amoled display with a pixel density of 441ppi and Gorilla Glass 4 on top. The device is powered by a 2.15GHz quad-core Snapdragon 821 processor with 4GB of RAM. Meanwhile, the Google Pixel XL is listed with a 5.5-inch Quad HD (1440×2560 pixels) display sporting a pixel density of 534ppi and Gorilla Glass 4 on top. Other than the size and resolution of the display, the rest of the features are similar to the smaller Pixel. 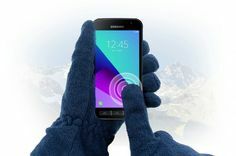 Both the devices also feature a 12-megapixel rear camera and 8-megapixel front. The Pixel and Pixel XL will run on Android 7.1 Nougat with Pixel Launcher. The listings also mention both 32GB and 128GB inbuilt storage variants. Storage expansion via microSD card is also listed, but this seems unlikely considering Google’s entire previous Nexus lineup. The Pixel is listed to sport a 2770mAh battery, and the Pixel XL is listed with a bigger 3450mAh battery, both with fast charging capability. On the software front, the Pixels is likely to come with Google’s latest Allo and Duo applications preloaded. Carphone Warehouse also revealed the two devices will offer unlimited storage for photos and videos at full resolution with Google Photos. Along with the unveiling of the Pixel smartphones, the event on Tuesday is also expected to see the launch of the Google Home smart speaker, alongside other rumoured products like the Google Chromecast Ultra, and Google Wi-Fi smart router. The Daydream VR headset unveiled at at Google I/O this year is also expected to make an appearance. Google’s event is set to start at 9:00am PT (9:30pm IST) on Tuesday, and Gadgets 360 will be covering the event live from San Francisco – so stay tuned. We discuss what you can expect from Google’s October 4 event, featuring Pixel smartphones, Andromeda, and more on Orbital: The Gadgets 360 Podcast. You can either subscribe to via iTunes or RSS or just hit the play button below.